Salafis and their like minded groups spend their life times trying to reduce the respect of Prophet Mohammad ( صلى الله عليه و آله وسلم ), by equating him with sinful human beings. They also go overboard and claim Prophet’s ( صلى الله عليه و آله وسلم ) parents and his respected Uncle Hadhrat Abu Talib (رضئ اللھ تعالی عنہم اجمعین ) are Mushrikeen (ma’azallah, astaghfirullah). They misinterpret some Ahadith to fool innocent people. There are some differences of opinions even among Ahle Sunnah in this context. 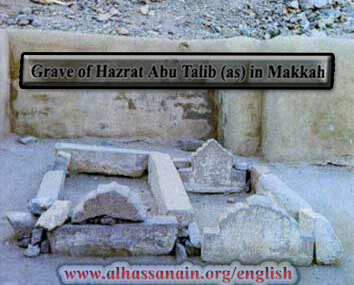 (1) Some claim Hadhrat Abu Talib (رضئ اللہ تعالی عنہ)ma’zallah, Astaghfirullah, died on Kufr. (2) Some say, we should keep silence in this issue because any statements or interpretations against Hadhrat Abu Talib (رضئ اللہ تعالی عنہ) in establishing Kufr on him could become cause of grief for Prophet Mohammad ( صلى الله عليه و آله وسلم ). Causing grief to the Prophet ( صلى الله عليه و آله وسلم )may invite Allah’s ( سبحانہ و تعا لی ) wrath in this world and in Hereafter. Remember Hadhrat Abu Talib (رضئ اللہ تعالی عنہ)was father figure for the Prophet ( صلى الله عليه و آله وسلم ) who took care of him from his childhood, in thick and thin. (3) A majority of scholars say that Hadhrat Abu Talib (رضئ اللہ تعالی عنہ) was, indeed, a Muslim. We have discussed this issue and have provided correct interpretations of related Ahadith, in the light of Quran and Sunnah. Read the following Ahadith. (1) Hadhrat Abu Talib ( رضئ الله تعالی عنه ) recognized and believed in the Prophet-hood of Prophet Mohammad (صلى الله عليه و آله وسلم) during his childhood. It is in Hadith – When Abu Talib ( رضئ الله تعالی عنه ) decided to go to Syria along with the Quraish for business, he took the Prophet ( صلى الله عليه و آله وسلم ) along with him. At that time, the age of the Prophet ( صلى الله عليه و آله وسلم) was 12 years, 2 months and 10 days. When the caravan reached Basra, there a hermit (Christian Monk) by name Buhaira recognized the Prophet ( صلى الله عليه و آله وسلم ) the moment he saw him, as he had read in the previous heavenly books the attributes of the Last Prophet and the signs of his Prophet-hood. Buhaira held the blessed hands of the Apostle ( صلى الله عليه و آله وسلم ) and told the Quraish: He is the leader of the heavens and earths. He is the Prophet of the Lord of the Worlds and his greatness is “Mercy for the whole universe”. The Quraish asked him : How do you know all this? Buhaira replied: When you were ascending the valley, there was no tree or stone that did not prostrate to Him, at the time of heat, a cloudlet always covered Him and He has the Seal of Prophet-hood between both His shoulders. With great devotion and respect, Buhaira arranged a feast for the sake of the Prophet ( صلى الله عليه و آله وسلم ). Buhaira told Hadhrat Abu Talib ( رضئ الله تعالی عنه ), Take your nephew back to Makkah and sell away your merchandise here itself, as the Jews are His die hard enemies. There is a danger that they might martyr Him. Hence, Hadhrat Abu Talib ( رضئ الله تعالی عنه ) returned to Makkah along with the Prophet ( صلى الله عليه و آله وسلم ). (Tirmidhi, Muwahib Ladunniya by Qastallani). The above episode shows that Hadhrat Abu Talib ( رضئ الله تعالی عنه ) believed in the Prophet-hood of Prophet Mohammad ( صلى الله عليه و آله وسلم ). This was the reason he returned back to Makka. If he did not believe it, he would have ignored Buhaira and would have continued his scheduled journey. The following are some important points in this context. (i) The last Narrator of the above Hadith, Al-Musaiyab,embraced Islam after the fall of Makka ( 11 years after the death of Hadhrat Abu Talib – رضئ اللہ تعالی عنہ). Also, he was not present at the time of Hadhrat Abu Talib’s (رضئ اللہ تعالی عنہ) death. It is on this account that al Aini, in his commentary has remarked that this tradition is Mursal (Dha’eef). (Al Aini, Chapter Janaiz, Vol 4, Page 200). We cannot take Dha’eef Hadith to establish Kufr of Hadhrat Abu Talib (رضئ اللہ تعالی عنہ) (Astaghfirullah ). (ii) There is another, very seriou issue with this Hadith. Verse 113 of Sura at-Tauba is mentioned in this Hadith and it is claimed that it was revealed at the time of the death of Hadhrat Abu Talib (رضئ اللہ تعالی عنہ). We have provided this verse below. It is a consensus (Ijma) of all scholars and A’imma that the entire Surah at-Tauba (Bara’a) was revealed in 9th year of Hijra in Madinah. The above fact is also mentioned in (i) Tafseer-e-Qurtubi (Vol. 8, Page 49), Shawkani (Vol 3, Page 316) and many other Tafaaseer. The death of Hadhrat Abu Talib (رضئ اللہ تعالی عنہ) occurred in 619 AD, the year of sorrow ( عام الحزن ), which was three years before Hijra. Thus the difference between the death of Hadhrat Abu Talib (رضئ اللہ تعالی عنہ) and revelation of Sura at-Tauba (and of course the above verse) is 12 long years. How this verse got added in the narration of the above Hadith is not known? We will leave this issue to our respected Muhadditheen for their wise counsel and interpretation. (i) We have proved, beyond doubt, in the light of Quran and Ahadith, that all ancestors of Prophet Mohammad ( صلى الله عليه و آله وسلم ), from Adam ( علیھ السلا م ) till Abdullah (رضئ اللہ تعالی عنہ), were either Prophets or virtuous Momineen and were best among their people. Therefore, they are the recipients of plentiful bounties in Hereafter. We consider it a sin to even discuss about their salvation. (ii) As per the above Hadith, Hadhrat Abu Talib(رضئ اللہ تعالی عنہ) confirms that he is on the religion of Hadhrat Abdul Muttalib (رضئ اللہ تعالی عنہ). This is more than sufficient proof that he died as Momin. (iii) Hadhrat Abu Talib’s (رضئ اللہ تعالی عنہ)understanding about the faith of Hadhrat Abdul Muttalib’s (رضئ اللہ تعالی عنہ) was different from the understanding of Makkan Pagans, like Abu Jahel, Abu Lahab, etc. Look at the difference between them. 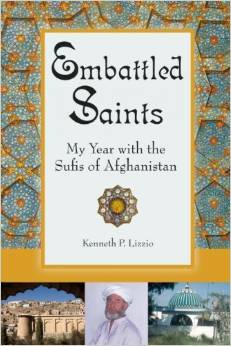 Abu Jahel, Abu Lahab and other pagan chieftains were Idol worshipers who misled innocent Arabs into Idol worship. They claimed Idol worship was the religion of their forefathers. As against this, Hadhrat Abu Talib (رضئ اللہ تعالی عنہ) was a monotheist. 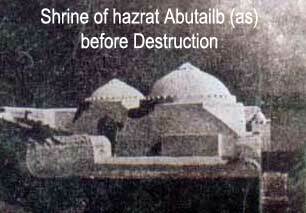 Hadhrat Abu Talib (رضئ اللہ تعالی عنہ) supported Prophet Mohammad ( صلى الله عليه و آله وسلم )during the propagation of Islam. He performed the solemn marriage of Prophet Mohammad ( صلى الله عليه و آله وسلم ). He was with him during the worst three-year torture of Muslims in the hands of Makkan Pagans. He supported Prophet Mohammad ( صلى الله عليه و آله وسلم ) when he became orphan in his childhood. As a matter of fact, he was a father figure for Prophet Mohammad ( صلى الله عليه و آله وسلم ). The bond of love between the two was unique and ever lasting. Look at Abu Jahel and other Makkan pagans. They did everything in their power to stop the spread the Islam. They were the enemies of Allah ( سبحانہ و تعا لی ) and His Apostle ( صلى الله عليه و آله وسلم ). Whereas, Hadhrat Abu Talib (رضئ اللہ تعالی عنہ) was the supporter and follower of Allah( سبحانہ و تعا لی ) and His Apostle ( صلى الله عليه و آله وسلم ) even in testing times. Why would Hadhrat Abu Talib (رضئ اللہ تعالی عنہ)support Prophet Mohammad ( صلى الله عليه و آله وسلم ) in propagating Islam if he did not believe in it? He had seen the Prophet ( صلى الله عليه و آله وسلم ) very closely since his childhood. He loved him more than his own sons. He knew the Prophet ( صلى الله عليه و آله وسلم ) was honest and every word coming out of his mouth was truthful. He knew Makkan pagans were wrongdoers and Idol worshipers. Therefore he stood as a solid rock in supporting the Prophet ( صلى الله عليه و آله وسلم ) and Deen-e-Islam. (iv) The question arises, if Hadhrat Abu Talib(رضئ اللہ تعالی عنہ) was the follower of Prophet Mohammad ( صلى الله عليه و آله وسلم ) and Islam, then why Prophet Mohammad ( صلى الله عليه و آله وسلم ) went to him when he was on the death bed and asked him to say Laa Ilaaha Illallah? The reason was, Prophet Mohammad ( صلى الله عليه و آله وسلم ) wanted Makkan Pagans to know that Abu Talib (رضئ اللہ تعالی عنہ) was Muslim. When Prophet Mohammad ( صلى الله عليه و آله وسلم )wanted Hadhrat Abu Talib (رضئ اللہ تعالی عنہ) to declare Laa Ilaaha Illallah in front of Makkan Pagans, Abu Jahel and others, who were present there, tried to mislead him and repeatedly told him that he should not convert himself from the Deen of Hadhrat Abdul Muttalib (رضئ اللہ تعالی عنہ). In answer to this, Hadhrat Abu Talib (رضئ اللہ تعالی عنہ) confirmed that he was on the Deen of Hadhrat Abdul Muttalib (رضئ اللہ تعالی عنہ), whowas also a Muslim. He uttered the last words to instill some sanity into Pagans’ minds and to lead them into Islam. Alas, they did not understand the wise counsel of Hadhrat Abu Talib (رضئ اللہ تعالی عنہ). (v) Another question arises, why Prophet Mohammad ( صلى الله عليه و آله وسلم ) said, “I will keep asking Allah ( سبحانہ و تعا لی ) for your forgiveness unless I am forbidden to do so”. The reason was Prophet Mohammad ( صلى الله عليه و آله وسلم ) wanted many bounties for Hadhrat Abu Talib (رضئ اللہ تعالی عنہ) in Hereafter for his extraordinary services to Islam. When Prophet Mohammad ( صلى الله عليه و آله وسلم )prays for something, Allah’s ( سبحانہ و تعا لی )rewards come as a showering rain. The Prophet( صلى الله عليه و آله وسلم ) says “I will keep on asking for Hadhrat Abu Talib (رضئ اللہ تعالی عنہ) to an extent that he gets plentiful; and he ( the Prophet صلى الله عليه و آله وسلم ) is forced to stop asking for more bounties for him. Thus, the above Hadith provides authentic prove, beyond doubt, that Hadhrat Abu Talib (رضئ اللہ تعالی عنہ) lived and died as Muslim. The above Quranic verse testifies that Allah ( سبحانہ و تعا لی )provided Shelter to Prophet Mohammad ( صلى الله عليه و آله وسلم ) when he was orphaned in childhood. Who were the people chosen by Allah ( سبحانہ و تعا لی ) for this purpose? The Prophet’s ( صلى الله عليه و آله وسلم ) father died when he was not even born. His mother died when he was six years old. At the tender age of 6, he became orphan. The first person chosen by Allah ( سبحانہ و تعا لی ) to shelter the Prophet ( صلى الله عليه و آله وسلم ) was his grandfather Hadhrat Abdul Muttalib (رضئ اللہ تعالی عنہ). But Hadhrat Abdul Muttalib (رضئ اللہ تعالی عنہ) died two years later. At the age of 8, the Prophet ( صلى الله عليه و آله وسلم ) came under the guardianship of Hadhrat Abu Talib (رضئ اللہ تعالی عنہ) who provided shelter to him and loved him more than his own sons till he died in Makka, during the year of sorrow, three years before Hijra. If Abu Talib (رضئ اللہ تعالی عنہ) was a Mushrik (nauzubillah, Astaghfirullah), Allah ( سبحانہ و تعا لی ) would not have given the Prophet ( صلى الله عليه و آله وسلم ) under his guardianship and would not have mentioned about it in Quran as an act of kindness. The death of Hadhrat Abu Taleb (رضئ اللہ تعالی عنہ) occurred at the end of 3-year torturous boycott of Prophet Mohammad ( صلى الله عليه و آله وسلم ) and Sahabah by Makkan Pagans. During this boycott, safety of the Prophet ( صلى الله عليه و آله وسلم ) was a major concern. It is reported that Hadhrat Abu Talib (رضئ اللہ تعالی عنہ) played a key role in this context. At nights Hadhrat Abu Talib (رضئ اللہ تعالی عنہ)used to switch Prophet’s ( صلى الله عليه و آله وسلم ) bed with his own sons’ beds to save Prophet ( صلى الله عليه و آله وسلم ) from Pagans’ attacks. It is reported that Fatima bint Asad (رضئ اللہ تعالی عنہا)(mother of Hadhrat Ali – رضئ اللہ تعالی عنہ ), was the second woman to accept Islam, after Khadijatul Kubra (رضئ اللہ تعالی عنہا). Abu Talib (رضئ اللہ تعالی عنہ) and Fatima bint Asad (رضئ اللہ تعالی عنہا), loved Prophet Muhammad ( صلى الله عليه و آله وسلم) more than they loved their own children. Both were ready to sacrifice their sons for Prophet Muhammad ( صلى الله عليه و آله وسلم ). Such love could have only one source – trust in Prophet ( صلى الله عليه و آله وسلم ) and faith in Islam. Hadhrat Abu Talib (رضئ اللہ تعالی عنہ) used to write poetry in praise of Prophet Mohammad ( صلى الله عليه و آله وسلم ) which was very popular among Sahabah. Salim’s father (Ibn Umar – رضئ اللہ تعالی عنہ) said, “The following poetic verse occurred to my mind while I was looking at the face of the Prophet ( صلى الله عليه و آله وسلم )while he was praying for rain. Read the above Hadith once more. Every word of the poetry written by Hadhrat Abu Talib (رضئ اللہ تعالی عنہ)shows his Iman in both the Prophet ( صلى الله عليه و آله وسلم )and Islam. If he did not have Iman, if he was not one of the greatest among the Sahaba, other Sahabah would not have repeated his poetry among themselves. Muhadditheen have mentioned that the chain of narrators of the above Hadith is weak. Therefore, some Ahle Sunnah scholars say that to establish Kufr on Hadhrat Abu Talib(رضئ اللہ تعالی عنہ) on the basis of such narrations may cause grief to Prophet Mohammad ( صلى الله عليه و آله وسلم ). Becoming a source of grief for the Prophet ( صلى الله عليه و آله وسلم ) means inviting Allah’s ( سبحانہ و تعا لی ) wrath in both the worlds. Salafis and their like minded Groups try to mislead innocent Muslims citing the textual meanings of the above Hadith. If we take the literal (textual) meaning of this Hadith, we will have to deny many authentic Ahadith and Quranic verses mentioned above. We know both Hadhrat Abu Talib (رضئ اللہ تعالی عنہ) andHadhrat Abdul Muttalib (رضئ اللہ تعالی عنہ) were monotheists, and belong to the chain of people who are the recipients of exclusive bounties in Hereafter. Therefore, we consider it a sin to even discuss about their salvation. In view of overwhelming facts and authentic Ahadith , it is important that we understand the above Hadith in its correct perspective. Therefore, the correct interpretation of the Hadith is as follows. Hadhrat Abbas (رضئ اللہ تعالی عنہ) asked the Prophet ( صلى الله عليه و آله وسلم ) (what would have happened if) you had not been able to benefit your uncle Abu Talib (رضئ اللہ تعالی عنہ)who protected you throughout his life. The answer of the Prophet ( صلى الله عليه و آله وسلم ) was, (even in such a case) I would have taken him out of the bottom of Hell fire to the shallow minimum prescribed for Hell dwellers. How did we reach to the above interpretation? Read the following Hadith which confirms our above interpretation and understanding. The above Hadith clearly establishes the fact that Hadhrat Abu Talib (رضئ اللہ تعالی عنہ) was a Muslim. The following Hadith (#6) is mentioned in Seerah Ibn Hisham (compiled by Ibn Ishaq), the first Seerah book (Biography of Prophet Mohammad – صلى الله عليه و آله وسلم )which is over 150 years older than Bukhari and Muslimand his rijal (narrators) are much more stronger. (See Abu Zahra, Shaykh of Al-Azhar’s book “Khatam Un Nabiyeen”). (8) It is in Hadith – Abdul Haq Muhaddith Dehalwi (r) has narrated from Ibn-e-Ishaq: When the time of death of Abu Talib (رضئ اللہ تعالی عنہ) drew near; Hadhrat Abbas (رضئ اللہ تعالی عنہ) noticed that he is moving his lips silently. He brought his ears close to Hadhrat Abu Talib’s (رضئ اللہ تعالی عنہ) mouth and said to Rasulullah ( صلى الله عليه و آله وسلم ) “O nephew, I swear upon Allah ( سبحانہ و تعا لی ), my brother has recited that Kalima, which you were telling him to recite”. (1) Many well known Imams like al-Qurtubi, al-Subki, and al-Sha`rani, etc., have written that Abu Talib (رضئ اللہ تعالی عنہ) was saved. (3) Seerah Ibn Hisham (compiled by Ibn Ishaq), is the first Seerah book (biography of Prophet Mohammad – صلى الله عليه و آله وسلم ) which is over 150 years older than Bukhari and Muslim and his rijal (narrators) are much more stronger. (See Abu Zahra, Shaykh of Al-Azhar’s book “Khatam Un Nabiyeen”). As a matter of fact, Ibn Hisham (رضئ اللہ تعالی عنہ) is the Grand Shaikh of Bukhari and Muslim and they have taken many narrations from him. Ibn Hisham (رضئ اللہ تعالی عنہ)was born in 70 AH (10 years before Imam Abu Hanifah –رضئ اللہ تعالی عنہ) so he was a Tabi’i, who took narrations directly from Sahaba. In Seerah Ibn Hisham, which is the most authentic book, a Hadith has been mentioned in which Hadhrat ‘Abbas(رضئ اللہ تعالی عنہ), confirmed that Abu Talib (رضئ اللہ تعالی عنہ)recited the Shahadah. (5) Ibn Abd al-Wahhab an-Najdi states, when Prophet Mohammad, ( صلى الله عليه و آله وسلم ) was a child, rain had not fallen upon Makkah for a long period of time. His Uncle Hadhrat Abu Talib (رضئ اللہ تعالی عنہ), prayed for rain through the Waseela of the Prophet ( صلى الله عليه و آله وسلم ). (Seeratur Rasul, By Ibn Muhammad bin Abd al-Wahhab al Najdi). It is reported that before the advent of Prophet Mohammad( صلى الله عليه و آله وسلم ), people, who followed Hadhrat Ibrahim’s ( علیھ السلا م ) religion, and even Christians and Jews, used to pray with the Waseelah of Prophet Mohammad ( صلى الله عليه و آله وسلم ) (who, they knew was coming). As against this, the Makkan Pagans used to ask their Idols, like Laat and Uzza for favors. (6) Some people quote adulterated versions of Imam Abu Hanifa’s theological booklet al-Fiqh al-Akbar, which is an outstanding statement of Sunni doctrine, the Imam wrote to clarify the Sunni `Aqida. There seems to be some discrepancies in this booklet about Prophet’s ( صلى الله عليه و آله وسلم ) parents. Regarding the discrepancies in the text (matn), of Fiqh al-Akbar, it is observed that in some of the manuscripts (nusakh) of al-Fiqh al-Akbar some words are there that differ from what is in other manuscripts. For example, we find in some of them – “… and the two parents of the Prophet ( صلى الله عليه و آله وسلم ) died on the innate nature” (Mata `ala al-Fitra). In some others, it is mentioned – “…. did not die on disbelief” (Ma mata `ala al-Kufr). While in other ones, we find – “…. died on disbelief” (Mata `ala al-Kufr) (Astaghfirullah). Allama al-Kawthari noted that the word fitra can easily be altered to kufr in ‘Kufic Arabic calligraphy’. Therefore, it is highly probable that the copy with “died on the innate nature” was changed to “died on disbelief”. 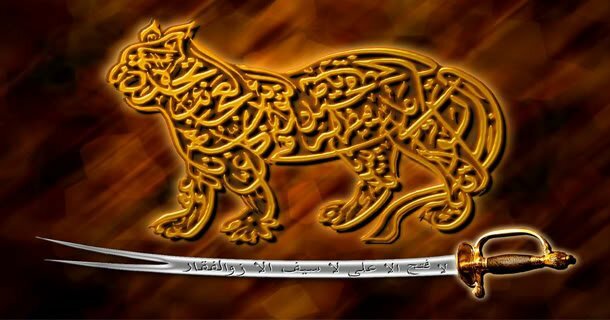 Let Allah’s – سبحانہ و تعا لی curse be on them who altered Fiqh al-Akbar. The devils who changed this booklet to prove Kufr (Astaghfiruallah – Nauzubillah) for the parents of the Prophet ( صلى الله عليه و آله وسلم ) may have also attempted it in the case of Hadhrat Abu Talib (رضئ اللہ تعالی عنہ). A detailed research may establish facts in this context. As we have mentioned above, Shaykh al Islam, Mufti of Makka al Mukarrama Sayyid Ahmad Zayni Dahlan (r) in his precious book Asna al-Matalib fi Najat Abi Talib – “The Purest Claims of the Salvation of Abu Talib” (Cairo: Muhammad Effendi Mustafa, 1305/1886) wrote that Hadhrat Abu Talib (رضئ اللہ تعالی عنہ) died as Muslim. However, his student, Ala Hadhrat Ahmed Radha Khan (r) differed with Shaikh Dahlan (r). Shaikh Abdul Haq Muhaddith Dehalwi (r) and most of the Ahle Sunnah Ulema of the last two to three centuries believed that Hadhrat Abu Talib (رضئ اللہ تعالی عنہ) is one of the greatest Sahabi-e-Rasool ( صلى الله عليه و آله وسلم ). Huzoor paak Alaihissalam Ke Haqeeqi Amm Mukarram (chacha) Hazrat Syedna Abutalib Alaihissalam Sachche pakke Musalman the’n inke Naam ke sath kalmaat e takreem yaani Hazrat’ Huzoor’ Sarkar’ iss tarah kalmaat tarham wa tarzi ka istemaal na sirf jaez balki Aaen sa’ adat hai. Chunanche Qurani Aayat ke Mafaheem wa ahadees kareema aur Aqwaal-akabir se sarkar e bat’ha Syedna Hazrat Abutalib Alaihissalam ka momin kaamil hona roze roshan ki manind aya’n hai. Quran Azeem ki kisi sarih Aayat se inka adm Imaan sabit nhi hota neez agar banazar ghaer dekha jaaye to inke adm Imaan ki aksar riwayat Quran Azeem se mut’ariz wa mutasadim nazar aati hai lihaza aisi soorat mein har wo riwayat ghair durust wa naqabil qabool hogi jo kitabullah se mut’ariz mutsadim ho. Guzarish ye hai ki poori tahreer sanjeedgi ke sath padhi jaaye inshallah kufro shirk ka andhera khatm ho jayega aur Imaan wa islaam ki raushni nazar aane lagegi. Qur’an paak se Hazrat Abutalib Alaihissalam ke Momin hone ki daleel. Hazrat imam qustulani iss ayat kareema ke tahat farmate hain ke imam madardi imam wahidi aur imam qasheri rahmatullah alaihim ne iss ayat ke zaman mein riwayat bayan ki hai ke Allah tabarko ta’ala ka ye Irshad ke aapko iss se pahle kitab kitab aur Imaan ki kuch khabar na thi hazaf mazaf ke baab se hai yaani imaan ka pata nhi tha to ye baat Hazrat Abutalib aur Hazrat Abbas aur dusre sahaba raziallah ta’ala anhum se ke mutalliq hai ki “Aye mahboob! Aap ke batane se pahle ye na to kitab ko jaante the’n aur na hi Imaan ki kuch khabar thi. Imam zarqaani alaih rahma mazkoorah bala ibarat ki tashreeh farmate huwe likhte hain ke- “Yaani ye ayat hazaf mazaf ke baab mein se hai aur woh ahle iman log jo pahle Imaan ko na jaante the aur Imaan laaye woh Abutalib (Abdemunaf) ya Abbas aur dusre log hain aur in logo’n ka Allah azzojal ki zaat wa sifaat par Imaan laana ayat mazkoorah ki manafi nhi balke ye to ayat e kareema ke aindah aane waale baqiya uss hisse par dalalat Karti hai ke “Lekin humne iss Qur’an Ko noor banaya jiske zariye se hum Apne bando’n mein se jisko chahe hidayat karte hain”. Naazreen par wazeh hona chahiye ke mazkoorah daleel saboot Imaan Hazrat Abutalib Alaihissalam ke baab mein iss darje thos aur mazboot hai ke jise hazaro taawilo’n ke bawajood na to uljhaya ja sakta hai aur na hi mustarad kiya ja sakta hai. Lihaza ab hum zeel mein awwalan inke momin hone ki kuch riwayat naql karte hain taake inke roshni mein logo’n Ko iss aali qadr ka maqaam wa martaba aur ulowe Shaan ka ilm ho sake. Ki Hazrat ibne Abbas Raziallah ta’ala anhuma se riwayat hai ke Hazrat Abutalib Alaihissalam ne nabuwat ke duswe saal inteqaal farmaya aur us waqt unki umr Shareef 85 saal se oopar thi aur unke marz al maut mein Rasool e paak sallallahu alaihe wasallam unke paas tashreef le gaye aur farmaya chacha jaan ! Kah deeje yaani kalma e shahadat padhiye taake aapki shafat karna humare liye jaez ho jaye bas jab aapki wafaat ka waqt qareeb aaya to aapke lab hil rahe the to Hazrat Abbas Raziallah ta’ala anhu ne aapke labo’n par kaan laga diya aur Rasool Allah sallallahu alaihe wasallam se farmaya Aye Ibn e akhi khuda ki qasam Abu Talib ne woh kalma kah diya hai jiska aapne unhe hukm diya tha ye sunkar Huzoor e Anwar Alaihissalam ne farmaya Alhamdulillah al- llazi Aye chacha shukr hai uss mabood e barhuq ka jisne aapko hidayat baksha. Hazraat muhibeen Imaan walo ke liye ye riwayat kuch kam nhi hai haan munkireen ke liye ek daftar bhi na kaafi hai. Riwayat no.3 “Yaani aur beshak baaz riwayat mein aaya hai ke jab Rasool Allah sallallahu alaihe wasallam hujjataul wada se tashreef laye’n to Allah ta’ala ne Aapke liye Aapke walidaen aur chacha Abutalib ko zinda farmaya aur wo sab Aap par Imaan laaye. Riwayat no.4 “Yaani Allah ke Rasool Alaihissalam ke Mujizaat mein se Murdo Ko Zinda farmana aur unke sath guftugu farmana hai riwayat mein aaya hai ke Allah tabarko ta’ala ne Aap ke liye Aap ke liye Aap ke walidaen karimain aur Amm muhtaram Hazrat Abutalib ko zinda farmaya aur wo Aap par Imaan laaye. Riwayat no.5 “Yaani riwayat kiya Hazrat Saeed bin jafi ne ke beshak Zinda Kiya Allah ta’ala ne Huzoor paak Alaihissalam Ke liye inke Amm muhtaram Hazrat Abutalib ko Aur wo inpar Imaan laye . Riwayat no.6 “Yaani Ishaaq bin Abdullah bin Haaris se riwayat hai ke Hazrat Abbas Raziallah ta’ala anhu ne Rasool Allah sallallahu alaihe wasallam ki khidmat mein arz ki kya Aap Abutalib ke liye pur ummid hain Rasool paak sallallahu alaihe wasallam ne Irshad farmaya ke hum Apne parwardigaar se unke liye har khair aur bhalai ke liye ummedwaar hain. Tafseer marah labaed imam Muhammad nawi al jaawi mazkurah hadees paak ki tashreeh karte hue raqmtaraz hain ke Rasool Kareem sallallahu alaihe wasallam ka ye farman ke maye Apne parwardigaar se inke (Abutalib) liye har bhalai ki ummid karta hoon uss bhalai ki daleel hai ke Hazrat Abu Talib momin hain aur huzoor khatmi martabat Alaihissalam ka inke liye pur ummid hona muhaqqiq hai jabke har Khair aur bhalai ki ummid siwaye momin ke nahi ki ja sakti. Riwayat no.7 “Yaani Hazrat Abdullah Bin Amr R.a Se Riwayat Hai Ke Rasool Allah Sallallahu Alaihe Wasallam Ne Irshad farmaya ke Jab Qayamat Qayem Hogi To Mai Apne Walidaen Aur Chacha Jaan ki Shafat Karunga . Naazreen riwayat mazkoorah bhi Hazrat Abu Talib Alaihissalam ke Momin hone ki Qawi Daleel hai kyunki Aaqa Alaihissalam kisi kaafi ya mushriq ki Shafat nahi farmainge chunanche mazkoorah baala jumla riwayat se ye baat saabit ho gyi ke Hazrat Abutalib Alaihissalam momin kaamil hain aur jab Imaan sabit to phir inhe Hazrat huzoor sarkar kahna bhi durust balki Aaen sa’adat thaira aur ye bhi sabit hua ke Hazrat Abutalib Alaihissalam Ko Hazrat kahne se mana karna niri jihalat aur bahut badi mahroomi hai. “Imam Jauzi ne riwayat kiya, Imam Burhanuddin Halabi ne riwayat kiya, Shaykh Abdul Haq Muhaddis Dehalvi ne riwayat kiya, Imam Suhaili ne riwayat kiya, Allama Zahni Dahlaan ne riwayat kiya, Allama Ibne Khaldun ne riwayat kiya aur deegar Muhaddiseen ne riwayat kiya sab Kutub me hai aur aap bhi jaante hain aur duniya jaanti hai aur ispe koi dusri raaye aur ikhtelaf nahi ke Aaqa SallAllahu Alaihi wa Aalihi wa Sallam ka NIkah Hazrat Sayyeda Khadijatul Kubra (Salamullahi Alaiha) se Kisne padhaya? Jab NIkah ka Waqt aaya to 2 baate hain, Khutba-e-NIkah Hazrat Abu Talib ne padhaya aur dusra jo Mehar mukarrar hua 12 Aoukiya ka aur 20 Untniyo ka bhi zikr aaya hai kitabo me ke Huzoor keliye Mehar Mukarrar hua Hazrat-e-Khadijatul Kubra se. Ye Mehar Mustafa ke Aqd ka Hazrat Abu Talib ne Jeb se Ada kiya! Aqd-e-Khadija tul Kubra (RadiAllahu Anha) ka Mehar Hazrat-e-Abu Talib ne ada kiya! Ab mai NIkah aur Mehar ka masla batadun. Hazrat Aadam Alaihissalam aur Hazrat Hawwa ka bhi NIkah aur Mehar hua tha. Jab Nikah ka waqt aaya to kitabo me aata hai Hazrat Aadam Alaihissalam ne arz kiya Baari Ta’ala! Hamara NIkah kaun padhaye aur Hamare Nikah ka Mehar kya ho? Kyunki teesra aur koi tha nahi. Rabb-e-Kainat ne farmaya: Aadam o Hawwa Dono Milkar Mere Mustafa pe Durood padh do Yehi Mehar-e-Nikah hojayega! Arey logo sochne ki baat hai, zara dayanat se socho, arey amanat se socho, arey adalat se socho, thandi tabiyat ke saath socho ke Hazrat Aadam ka Nikah ho to Mehar Mustafa pe Durood ka rakha jaaye, koi aur mehar gawara na ho kyunki Isi Sulb Sab Nabiyo ne Aana hai. Hazrat Aadam aur Hazrat Hawwa ke Nikah par Mehar Mustafa pe Durood ho, aur jab Mustafa ka Nikah ho to Mehar kisi kafir ki jeb se kabool karliya jaaye? Hazrat-e-Abu Talib ne sirf Khutba-e-NIkah nahi padhaya, Mehar-e-Nikah bhi Khud Jeb se ada kiya. To Hazrat-e-Khadijatul Kubra, Mohsina-e-Islam, Mere Aaqa ki Pehli Rafiqa-e-Hayaat, Tajdar-e-Kainat ke Saare Aulad ki Maa, arey Fatimah tuz Zahra ki Maa, Hasan o Hussain ki Naani, Jinko Huzoor kabhi na bhule! Us Khadijatul Kubra ke saath NIkah aur Rab Gawara karlega koi kafir Mehar ada kare? Abu lahab hai kafir hai par wo bhi to Chacha tha. kisi aur Mehar gawara kiya hota, magar nahi Abu Talib ki Jeb ka Mehar Gawara kiya, Kyunki Isme se Hussain ne Aana tha! Aadam ka Mehar Mustafa ka Durood tehre aur Huzoor ka Mehar koi kafir ada karta fire? Nahi hosakta! Par Aap he ko kyu Munatakhab kiya? isliye ke jab Dawat-e-Tauheed ka Waqt aayega, Isha’at-e-Islam ka Waqt aayega, to us Waqt Islam ki Ibteda, pehli Daawat, pehli Majlis, Islam ki Ibteda bhi Abu Talib ke Gharse hogi aur jab is Islam ki baqa ka waqt aayega to Isi ki Aulad ke Darse hogi! “Hazrat Abu Talib RadiyAllahu Ta’ala Anhu Kee Bayaan Kardah Riwayat Me Se Aik Ye Hai Jise Khatib Baghdadi Ne Apni Isnaad Ke Saath Bayaan Kiya Hai. Hazrat Ali KarramAllahu Ta’ala Waj’hah-ul-Karim Farmate Hain Ki Mein Ne Apne Waalid-E-Giraami Hazrat Abu Talib RadiyAllahu Ta’ala Anhu Ko Yeh Farmate Huwe Suna Ki Mujh Se Mere Bhaai Ke Bete Hazrat Muhammad SallAllahu Ta’ala Alayhi Wa Aalihi Wa Sallam Ne Hadith Bayan Farmaayi Aur Khuda Kee Qasam Woh Yaqinan Sachche Hain. Kyun Ki Jab Mein Ne Aap Se Puchha ! Ya Muhammad SallAllahu Ta’ala Alayhi Wa Aalihi Wa Sallam Aap Kis Chiz Ke Saath Mab’oos Farmaye Gaye Hain To Aap Ne Farmaya : Silah Rahmi Aur Ada-E-Namaz Wa Zakaat Ke Liye. Aur Namaz Se Murad Us Waqt Fazar Aur Asar Kee Do Do Rak’atein Thi Kyun Ki Awa’il-E-Islam (Aaghaaz-E-Islam) Me Yahi Do Namazein Thi Ya Phir Namaz-E-Tahajjud Thi Jis Par RasoolAllah SallAllahu Ta’ala Alayhi Wa Aalihi Wa Sallam Ka Be’asat Mubarak Se Pehle Bhi Amal Tha, Aur Un Ko Namaz-E-Panjagana Par Mahmool Karna Durust Nahin, Kyun Ki Namaz-E-Panjagana Hazrat Abu Talib RadiyAllahu Ta’ala Anhu Kee Wafaat Ke Dedh Saal Baad Mearaaj Kee Raat Farz Huwi Kyun Ki Hazrat Abu Talib RadiyAllahu Ta’ala Anhu Ka Wisaal Be’asat Mubarak Ke Dasawein Saal Sawwal-ul-Mukarram Me Huwa. “Aur Aise Hee Khatib Baghdadi Rahmat-ul-Allahi Ta’ala Alayh Hazrat Aboo Rafe’ RadiyAllahu Ta’ala Anhu Se Jo Ki Hazrat Umm-E-Haani Binte Hazrat Abu Talib RadiyAllahu Ta’ala Anhu Ke Ghulaam They Riwayat Naqal Karte Hain Ki Mein Ne Hazrat Abu Talib Se Yeh Hadith Suni Aap Farmate They Ki Mujh Se Muhammad Bin Akhiy SallAllahu Ta’ala Alayhi Wa Aalihi Wa Sallam Ne Hadith Bayan Farmayi ! Ibn Sa’ad, Khatib Baghdad, Ibn Asakir Hazrat Amru Bin Saeed RadiyAllahu Ta’ala Anhu Se Woh Hazrat Abu Talib RadiyAllahu Ta’ala Anhu Se Riwayat Bayan Karte Hain Ki Mein Apne Ibn Akhiy SallAllahu Ta’ala Alayhi Wa Aalihi Wa Sallam Ke Saath Waadi-E-Zil Majaz Me Tha Mujhe Shadid Pyaas Mahsoos Huwi Aur Mein Ne Apni Pyaas Kee Shikaayat Huzoor Risaalat Ma’ab SallAllahu Ta’ala Alayhi Wa Aalihi Wa Sallam Se Kee Haala’n Ki Waha’n Kahin Paani Ka Nishaan Tak Nahin Tha. Alaawa Azy’n Imam Barzakhi Alayh-ir-Rahmah Mazid Farmate Hain Ki Jis Shakhs Ke Saamne Is Qism Ke Muajizaat Zaahir Ho’n Us Ke Dil Me Un Kee Tasdiq Kaise Wuqooa Pazir Nahin Hogi Aur BeShak Qara’in-E-Kathirah Un Kee Tasdiq Par Dalaalat Karte Hain. Aur Ibn Adi Hazrat Anas RadiyAllahu Ta’ala Anhu Se Riwayat Karet Hain Ki Aik Dafa Hazrat Abu Talib RadiyAllahu Ta’ala Anhu Bimaar Ho Gaye To Sarkar-E-Do Aalam SallAllahu Ta’ala Alayhi Wa Aalihi Wa Sallam Aap Kee Iyaadat Ke Liye Tashrif Le Gaye To Janab-E-Abu Talib RadiyAllahu Ta’ala Anhu Ne Bargah-E-Risalat Ma’ab SallAllahu Ta’ala Alayhi Wa Aalihi Wa Sallam Mein Araz Kee Aye Ibn Akhiy Allah Tabarak Wa Ta’ala Se Meri Seht Ke Liye Duaa Farmaayein. Chunaanchi Huzoor Sarwar-E-Qaynat SallAllahu Ta’ala Alayhi Wa Aalihi Wa Sallam Ne Bargah-E-Rabb-ul-Izzat Me Duaa Kee Ki Elaahi Mere Chacha Jaan Ko Sehhat Wa Aafiyat Ata’ Farma, Usi Waqt Hazrat Abu Talib RadiyAllahu Ta’ala Anhu Usi Tarah Sehhatyaab Ho Gaye Jaise Bimaari Ka Shikanjah Toot Gaya Ho. Hafiz Aboo Nu’aym “Dala’il-un-Nubuwwah” Me Abi Bakar Bin Abd-ul-Allah Bin Jahim Ke Tariq Se Bayan Karte Hain Ki Woh Apne Baap Se Aur Woh Apne Daada Se Riwayat Naqal Karte Hain Ki Mein Ne Hazrat Abu Talib RadiyAllahu Ta’ala Anhu Yeh Hadith Suni. Aur Mein Ne Dekha Ki Us Noor Ke Huzoor Me Arab Wa Ajam Ke Log Sajdah Reyz Hain, Aur Us Darakht Kee Bulandi Aur Roshani Me Har Lamha Izaafah Ho Raha Hai Aur Yeh Noor Aik Lamhah Poshidah Rahne Ke Baad Do Baara Zaahir Ho Jaata Hai. Aur Mein Ne Quraysh Ke Aik Giroh Ko Us Kee Shakhon Se Latakte Huwe Dekha Aur Kuchh Logo’n Ko Us Ke Kaatne Ke Dar Pe Paaya, Magar Jab Woh Qareeb Aayein To Unhein Aik Naujawan Ne Pakad Liya, Jo Aik Paykar-E-Husn-O- Jamaal Aur Khoobsoorattareen Jawaan Hai, Jis Ke Rukh-E-Anwar Kee Misl Mein Ne Kabhi Koi Hasin Nahin Dekha. Aur Na Hee Mein Ne Kabhi Koi Aisi Khooshbu’n Sunghi Hai Jo Us Ke Jism-E-Mushkbar Se Phoot Rahi Thi. Phir Mein Ne Dekha Ki Is Khoobroo Naujawaan Ne Un Logon Kee Pushtein Tod Dee Aur Aankhein Phod Dee Jo Is Darakht Ko Kaatana Chaahti They. Baad Az Aa’n Mein Ne Us Darakht Kee Taraf Haath Badha Kar Apana Hissa Lena Chaaha Magar Kaamyaab Na Huwa. Phir Mein Ne Puchha Ki Yeh Kis Ka Hissa Hai ? Kya tUm Abdul Muttalib ke mazhab se rugardani kar rahey ho? 10 baras ka faasla hai. feyl mein yaqeenan woh shareek nahin haiN. inteqaal ke saal ko Huzoor (sawaw) ne aam ul huzn kaha. shaheed ho jaaey magar Huzoor (sawaw) ko koi nuqsaan na pahoNchne paaey. Agar Abu Talib, Ali (as) ke baap na hotEy to shayed unke iman par koi bahes na hoti. 2-A sunni hadith expert AL-DHAHABI in his book Mizan al-Itidal,volume 1 page 396 write about the verses quoted for hazrat abu talib as a non believer said “I find it very difficult to believe that despite the fact the commentators who have written down the traditions are respectable personalities, they have copied it down from cheap people without any hesitation. How could the Prophet get help from an unbeliever if we assume Abu Talib is unbeliever? ” I command you to be good to Mohammed. He is the most trustworty of the Quraish and the ever truthful of the Arabs. By God whoever walks in the way of Mohammed shall be on the right road and whoever follows his guidance shall have the happy future. And you Hashimites, respond to Muhammaed’s invitation and believe him. You will succeed and be well guided; certainly he is the guide to the right path. You have indeed acted kindly to your next of kin; may you be well rewarded, O uncle.